Eventually, I hope that everyone involved in education will stop blaming each other because responsibility for the degradation in schools lies with all of us. Nasser Abdelwahad is a high school teacher of English in a Moroccan public school. Safi – The great South African struggler, Nelson Mandela, once said: “Education is the most powerful weapon which you can use to change the world.” If we think through this proverb enough, we will surely conclude that there is no other way to achieve progress or change at any level of our life—socially, economically, politically, and intellectually. Many developed countries give education primary importance among all other sectors. Unfortunately, Morocco does not prioritize education. According to the Organization for Economic Cooperation and Development’s 2018 international report about the quality of teaching, Morocco ranked 103rd out of 138 countries in the index for quality of teaching in universities and 74th for quality of teaching in elementary school. This very bad rank indicates that the Moroccan government does not value education in terms of human resources or financial support. The government does not provide enough teachers in different specialties and administrative assistants nor give sufficient funds to satisfy the requirements of the sector. 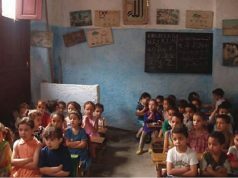 A gradual breakdown in education in Morocco began nearly immediately after Morocco gained so-called independence in the late 1950s. The Moroccan government has launched several policy reviews to improve quality and access to education since then. 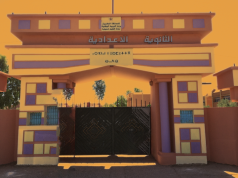 Rebuilding the educational system in Morocco has gone through many stages, starting with the three and five-year plans in the 1960s, 1970s and 1980s; then the National Charter for Education and Training in 2000; then the staging plan (2009-2012); and finally the strategic vision for reforming education and training (2015-2030). However, the series of “reforms” led to no reform at all; things just got worse. Students’ competence went down, and many other problems related to teaching came out. Many actors share the responsibility behind this failure, including the government, parents, teachers, and students, too. However, the biggest part of the responsibility lies with the government, specifically the Ministry of Education. The number of thorny problems and issues of teaching in Morocco is uncountable. To begin with, the government does not provide even the basic requirements of teaching for teachers and learning for learners. 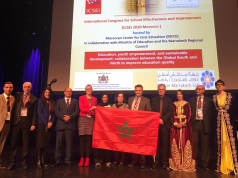 Most schools in every single region of Morocco are not well-equipped: They do not have contemporary technological devices which play an essential role in integrating students and making them eager to learn, such as laptops, video projectors, printers, etc. Taking this into account, many teachers, especially those of foreign languages like French, Spanish, and English, find many difficulties doing their work. For example, many teachers of English find themselves not teaching speaking and listening skills. Speaking and listening are crucial to the development of students’ pronunciation and offer a chance to be indirectly exposed to native speakers and the ability to extract information from speech. On the other hand, many schools and universities in Morocco are over-crowded; at schools, there are sometimes more than 44 students. Consequently, teachers have trouble controlling so many students, communicating with them, identifying each’s weaknesses and strengths, and designing tests and correcting them. In addition to this students cannot communicate and learn from each other. Group work, oral presentations, and project work becomes harder. This problem of over-crowding can be due to lack of teachers or enough classrooms or because schools are built small. Thirdly, teachers in Morocco lack motivation; they get low salaries which cannot cover even their own families’ basic needs. Teachers are then always looking for other sources of income, like doing part-time jobs, setting extra autonomous projects, or working in private schools. Their teaching in class then suffers. In the same vein, 55,000 Moroccan contractual teachers do not have psychological stability. They are always afraid of getting fired at any time, affecting the quality of their teaching negatively. They suffer from society’s lack of respect for them because of their administrative case and the annoyance and harassment of their bosses and colleagues at work sometimes. In the 2018-2019 academic year, many other problems floated to the surface. Students all over the country demonstrated to abolish summer time adopted by the government year-round. Students claim that this timing is harmful for them because they have to wake up early in the morning when it is still dark. They also claim that the period of time between the morning class and the evening class is not enough for them to have their lunch, change their books and copybooks, and do other necessary activities, especially for those who live far from schools. Another issue which obstructs our educational system is the wrong guidance and orientation of students. In the first 12 years of learning in Morocco—elementary, middle, and high school—students must study and pass a huge number of different scientific and literary subjects. Then they get their Baccalaureate degrees. After that, they must choose only one subject to specialize in. So why should we bombard students with so many subjects from the very beginning if at the end they must choose only one? In my opinion it is a time and effort consuming orientation. I suggest we instead help students choose their favorite field of study in which they excel immediately after primary school. That would help improve their performances and achievements in the specialty they choose. Finally, we have a problem with textbooks. As a teacher of English, I want to talk about the textbooks used to teach English in our schools. There are many criticisms to mention. First, the majority of the textbooks are outdated in content. For example, some passages and grammar example sentences talk about celebrities that are long gone from the public consciousness. Consequently, students find the exercises uninteresting and get bored. Second, there is a real problem in the distribution of textbooks used in different regions of Morocco. The degree of difficulty in textbooks differs from one to another, so why does the government set a certain textbook for all teachers to use in a specific region? Why not allow them to choose the textbooks they like or even design their own with worksheets according to the students’ abilities? Of course this should be done in accordance with the main guidelines of teaching English in Morocco. An additional problem concerning the textbooks is that different streams use the same textbooks. This is illogical because each stream has its own specifications. For example, students doing scientific majors have three hours a week to study the book, while students doing literary majors have four or five hours a week. Not only this, but teachers have difficulty covering the whole textbook, especially with second Baccalaureate classes because they are so intensive. Finding a real solution to recover our Moroccan educational system is as hard as finding a cure for a serious chronic disease or trying to revive a dead person. Any kind of change must focus most on both teachers and students since they are the essential elements in the teaching/learning process and the backbone of the educational system. As for teachers, the government has to provide them with enough training. Training should last for at least one year in the regional centers of training. It should not be superficial but rather strong enough to equip teachers with the basic pedagogical methods and styles of teaching and learning to make their teaching effective. Moreover, even after their appointment to a post there must be continuous accompaniment and supervision over teachers to assess their work regularly and ensure that the job is done well. The government should also give teachers more privileges to motivate them and to value their jobs, such as increasing their salaries, reducing the age of retirement, and others to improve their social and economic circumstances. At the same time, teachers, too, should work on themselves and realize that they are real leaders in the classroom and in the whole school. They should act as facilitators, supporters, and guides for their students. They should not use their symbolic authority negatively but instead, they should accompany students, befriend them, and give them the chance to speak their opinions, suggestions, and feelings about the learning experience. Teachers must engage students as possible in the teaching/learning context, taking into consideration what they need and what they like and dislike. At the end, students are the center of the educational system. 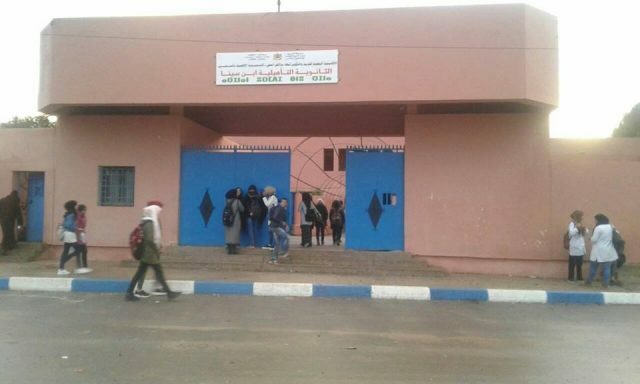 For students, the state should really work hard to lower the drop-out rate because it is one of the most dangerous phenomena that threatens education in Morocco. This can be done through the real implementation and generalization of the “Tayssir” facilitation program that gives funding to parents to formally enroll children aged 6 to 15 in schools. The state should also distribute free books, school bags, and bikes; build more boarding schools for those who live far away from schools; and start schools in rural areas to provide a means of access to public high schools. Parents also take a very influential part of the responsibility concerning the current situation of education. Parents do not play their real role anymore. They are the first and continuing educators of their children, so they should invest in early childhood education, trying to firmly implant basic life principles, public ethics, and social values. Parents must educate their children with passion and love for learning. Not only this but parents should always support and encourage their children’s education by providing a clean home, exposing them to cultural activities, and keeping books and other educational materials available. Needless to say, students are the center of the learning process. But many Moroccan students like to go to school just to waste time and make trouble with teachers and the administration. Others go to school to show off their muscles in front of their friends. This causes many conflicts with their teachers, obstructing learning since the focus never stays on learning for students and on teaching for teachers. The majority of students’ main concern is to get good grades in the exams to pass from one level to another, even if that means cheating instead of concentrating on acquiring new information, knowledge, and skills. In a nutshell, reforming our educational system is very complex and will take a lot of time to accomplish. The government, parents, teachers, and students should all work together to develop education in Morocco. The state and policy makers should also prioritize education over everything else like in many developed countries which believe education is the starting point for any kind of progress and change. 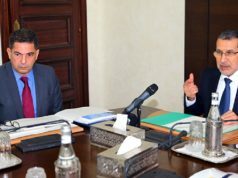 The views expressed in this article are the author’s own and do not necessarily reflect Morocco World News’ editorial views. © Morocco World News. All Rights Reserved. This material may not be published, rewritten or redistributed without permission. 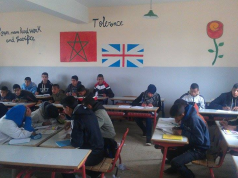 Opinion: What Future Does the Moroccan School System Have?